For the Golden Dawn the tarot was more than a divination tool, it was a pictorial representation of the Kabbalist's tree of life, of the powers and forces of the spheres, paths and worlds which are themselves a map of the universe. 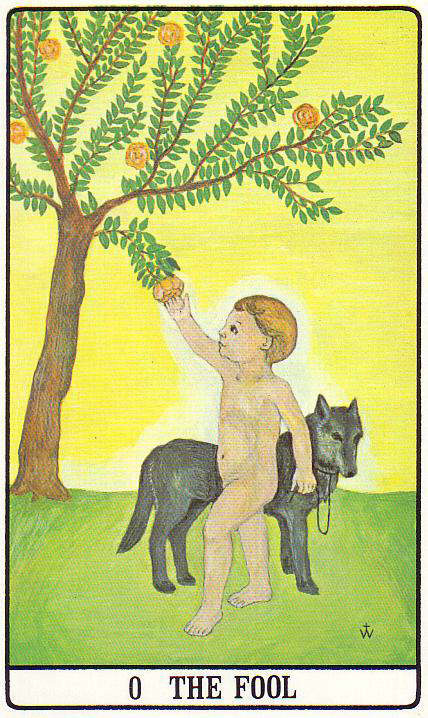 The whole of the Golden Dawn�s philosophy and teaching was symbolically contained in the images of their tarot; and the magical journey through the grades of the order was mapped by the tarot cards that represented the paths they would ascend during training. Every line, every color, every number, every object is filled with meaning and speaks to the reader through an elaborate system of correspondences employed by the order. This is perhaps the only deck to reach public view that was designed for the exclusive use of a powerful secret fraternity. Included in the Golden Dawn Tarot Deck is occult symbolism that has been kept shrouded in mystery as part of the Western Esoteric Tradition.